The U.S. Supreme Court let stand lower court rulings on Tuesday that blocked restrictions on doctors who perform abortions in Mississippi and Wisconsin a day after the court struck down a similar measure in Texas. The laws in both states required doctors to have "admitting privileges," a type of difficult-to-obtain formal affiliation, with a hospital within 30 miles of the abortion clinic. Both were put on hold by lower courts. The Mississippi law would have shut down the only clinic in the state if it had gone into effect. The laws in Texas, Mississippi and Wisconsin are among the numerous measures enacted in conservative U.S. states that impose a variety of restrictions on abortion. 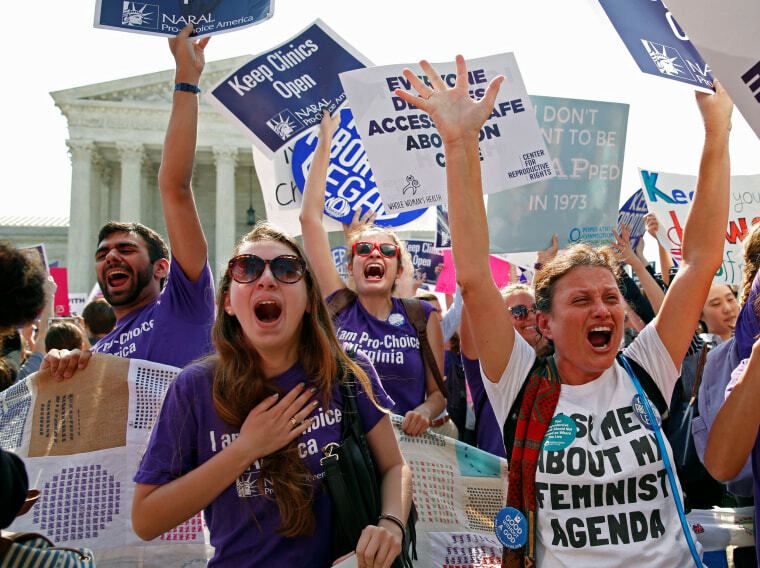 With its ruling on Monday, the court gave its most stout endorsement of abortion rights since 1992. Conservative Justice Anthony Kennedy joined the court's four liberals in the 5-3 decision. The justices decided that the Texas law placed an undue burden on women exercising their right under the U.S. Constitution to end a pregnancy, established in the court's landmark 1973 Roe v. Wade decision.. The ruling is likely to encourage abortion rights advocates to challenge similar restrictive laws in other states. In November 2015, the Chicago-based 7th U.S. Circuit Court of Appeals struck down the Wisconsin law. In the Mississippi case, a federal district court judge issued a temporary injunction in 2012 blocking the law because it would have forced women seeking abortions to go out of state. The same judge issued a second injunction in 2013, which was upheld by the New Orleans-based 5th U.S. Circuit Court of Appeals in 2014. Related: What's Next for Abortion Rights? In the major ruling on Monday, the high court issued a 5-3 ruling striking down the 2013 Texas law, which had a provision requiring clinics to have costly hospital-grade facilities in addition to the "admitting privileges" provision. Some states have pursued a variety of restrictions on abortion, including banning certain types of procedures, prohibiting it after a certain number of weeks of gestation, requiring parental permission for girls until a certain age, imposing waiting periods or mandatory counseling, and others. In May, Oklahoma's Republican-led legislature passed a bill calling for prison terms of up the three years for doctors who performed abortions, but the state's Republican governor vetoed it.